On Monday, North American Securities Administrators Association (NASAA) announced Operation Cryptosweep: one of the largest coordinated series of securities enforcement actions ever. If you have been following the crypto space over the last two years, this should not come as a surprise. In fact, it was inevitable. Still, the scope of Operation Cryptosweep is massive. For some time, regulators have been issuing warnings to investors and issuers to be careful. The Securities and Exchange Comission (SEC) set up a special Cyber Taskforce. Recently, they even launched a fake ICO website to teach investors a lesson. What a time to be alive. This week’s actions however, came from the SEC’s smaller brothers and sisters at the state level. Although these regulators get far less attention in the ICO space than the SEC, they too have jurisdiction to combat securities fraud. Many projects in the crypto-space started using a new way of fundraising, Initial Coin Offerings (ICOs), to fund their businesses. In an ICO, a business sells crypto-tokens to retail investors. Any funds raised during the sale are subsequently used to develop the underlying platform / business where the tokens can be used. Investors hope that, once demand for the utility of the platform increases, the value of the token increases as well, as the supply of tokens is limited. Of course, these problems are not new. In fact, they are the reasons why we have developed securities legislation over the last 80 years. When one sells an investment contract (such as a token), he generally has to register with the relevant securities regulator and provide certain information to investors in the form of a prospectus. For ICOs however, this rarely happens and many issuers are thus committing borderline securities fraud. As such, an initial batch of over 30 Cease and Desist letters have been sent to ICO issuers, with more investigations and enforcement actions on the way. It should be noted that the Operation Cryptosweep os not merely aimed at ICO issuers. Notable are the the information demand letters that have been sent to crypto exchanges. According to the letters, the platforms often lack the basic market protections of traditional investing platforms. At the same time, the extent of disclosures to customers about trading rules, internal controls, and other basic practices varies from platform-to-platform, making it difficult or impossible for prospective users to evaluate the actual risks of trading on a particular platform. Therefore, Attorney General Schneiderman has requested the exchanges to fill in this three page questionaire. Below you will find the list of exchanges and ICO issuers against which actions have been taken. Insights From Lawyers: Blockchain at Berkely’... Last week, Blockchain at Berkely, a student organization dedicated to the promotion of blockchain research, held its first major blockchain event. One panel in particular drew my attention. You guessed it: it's the legal blockchain panel. 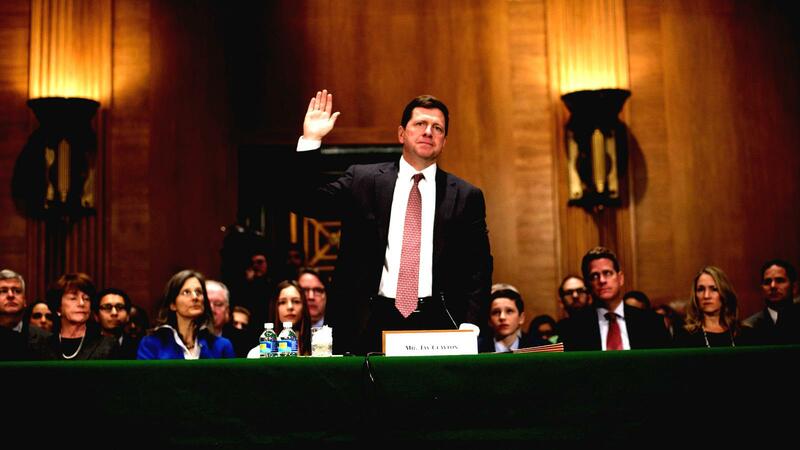 SEC Chief Suggests ICO’s Are Securities During a speech at the Institute on Securities Regulation, the Chairman of the U.S. Securities and Exchange Commission, Jay Clayton, made a statement about a very important issue that might determine the future of ICO’s: Is an ICO an offering of a security or not? The legal nature of bitcoin: Does bitcoin have property rights?